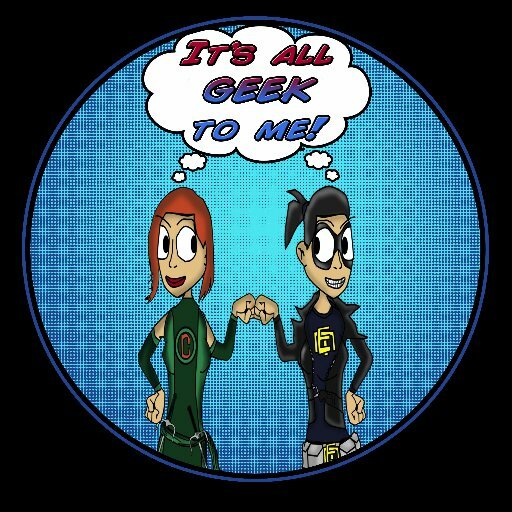 Episode 95: NYCC 2016 Prep! It’s almost CON TIME! With New York Comic Con right around the corner, we are talking all things con prep! What to do, what to bring, we talking it all. You can listen to the most recent episode of our show, (Episode 95: NYCC 2016 Prep!) HERE, in archives. OR now we are on iTunes, so you can now download us directly on to your listening device of choice! Full disclosure: I have had a MASSIVE Crush on Cary Elwes since I was in the 3rd grade and saw Robin Hood Men in Tights. Seeing The Princess Bride only solidified my love. [Yes, I saw Men in Tights before Princess Bride, I grew up in a Mel Brooks loving household. Deal with it]. 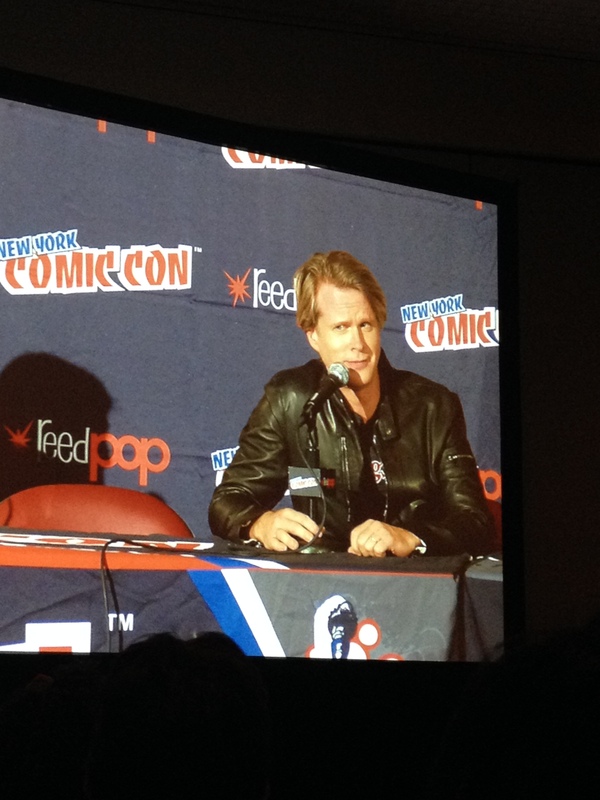 As soon as they announced Cary Elwes would be at NYCC I knew I HAD to see him. In fact as we have mentioned in many of our con prep episodes of the show it is important to have your “Non-Negotiable” list, this definitely made mine. which you can purchases here, and you should, it is a highly entertaining read. The panel began with a clip from the movie, more clips would punctuate the panel, and I have to say there is nothing more amazing than sharing in the experience of watching a movie you love with one of the people who made its very existence possible. Not only is Cary is a natural-born entertainer, regaling the room with tales of filming, while doing impressions of everyone from the British PA, to Andre the Giant & Rob Reiner, but also just a genuinely nice guy. Someone in the front row coughed and he without even really pausing filled a cup from the pitcher of water on the dais in front of him and handed it to her. Once the moderator had finished, there was apparently no time left for questions, however Cary Elwes is not a man to disappoint, and so despite the fact that the volunteers and moderator alike were clearly attempting to wrap it up, proceeded to take a few questions anyway. The perfect way to end a con. A word to the wise if you ever attend a Stephen Amell panel at a con MAKE SURE YOU ARE CAUGHT UP! Spoilers abound. That being said, he’s complete candor is part of what makes him so endearing. Stephen answered a ton of fan questions on everything ranging from sharing stories of pranks on set to hinting about big things coming Laurel’s way this season. I think we can all pretty much infer what that implies. Sorry non-Laurel fans, looks like she is not only here to stay, but her role is about to get even bigger. 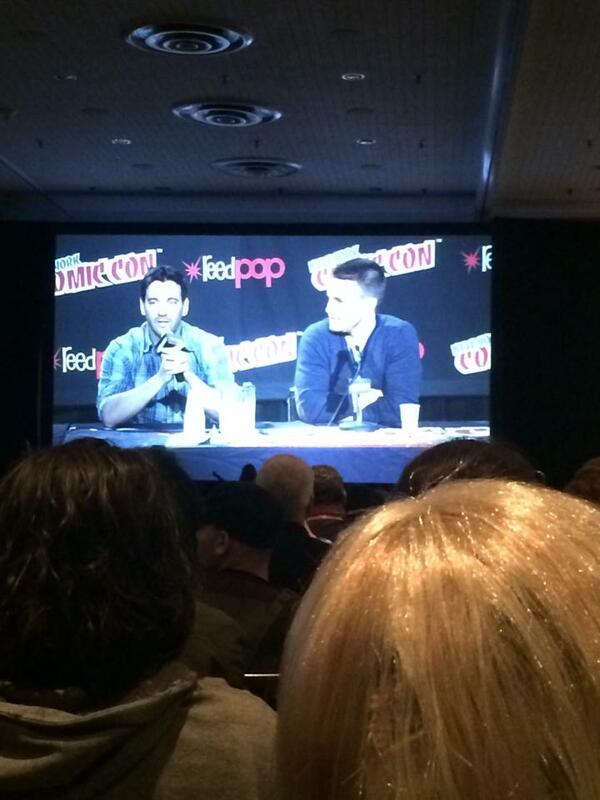 In a surprise move, Colin Donnell aka Tommy Merlyn himself crashed the panel much to the delight of fans in the room. It actually turned out to be pretty good timing, as not only would the episode he was due to appear in air the following week (10/15/14), but also his new show The Affair, staring Joshua Jackson was to premiere the following night. Colin joked that it is in his contracts now that he will only do shows with ridiculously attractive men. One of the most fun things about Stephen’s panel was the fact that you could truly tell that he is a fanboy himself. The man refers to episodes by episode numbers and can rattle off specific details of scenes. He even mentioned going back to watch a specific scene from the first season to double-check on a detail mentioned in the opener for season three. He talked about his desire, time permitting of course, to go compete on America Ninja Warrior, and host an episode of Monday Night Raw. You can tell not only does he love what he does but also is genuinely grateful for all the support from fans. But of course anyone who follows the man on social media knows that. Episode 57: NYCC 2014 Wrap Up! You can listen to the most recent episode of our show, (Episode 57: NYCC 2014 Wrap Up! ) HERE, in archives. OR now we are on iTunes, so you can now download us directly on to your listening device of choice! This week’s show was a little different, since NYCC was this past weekend, we took this episode to do a little recap and share some fun stories.